Don't knock Photoshop. It's still the best photo editing software out there. Lightroom was released for hobbyists too mean to buy Photoshop (Though you can get both for £7 per month, so these days it's not a problem) and who like to be told where to store their images. Photoshop is still the most versatile editor out there with the fastest raw conversion and I'd get rid of pretty much all my gear before I parted with it. This is the software that turns snapshots into photographs. 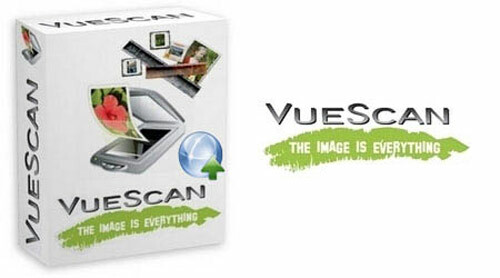 Ed and David Hamrick have Vuescan software that keeps film scanners running. I have a Nikon LS 9000, for which the outdated Nikon Scan software doesn't work anymore on either my Mac or Windows computers. Nikon won't update it, so I use Vuescan instead. It's a bit too complicated with too many options but it means I can keep on scanning until the LS 9000 packs up. But the winner is Snapseed. It's for tablets and phones and it's fast, versatile and FREE!! These days I use it almost as much as Photoshop. It isn't anywhere near as good as the Adobe app. but it gives my pictures a distinct look and I can edit a whole lot of pictures on my iPad sitting on the sofa. if you haven't got a copy already, WHY NOT?? The Canon Connect 100 is a 1TB storage disk with wi-fi, NFC and connects to a TV to view videos and stills on. It's cheap, useful and a handy alternative to the tyranny of the computer. The Metabones 0.68x Speed Booster for m4/3 cameras cuts the crop factor of adapted lenses down to 1.28x on m4/3 meaning that it's not such a problem to get wide angle lens options from non-native lenses. And of the two nominations above this was going to win. However, since setting out my 'competitors' I've since bought the following and it's won this category. I love this adapter. 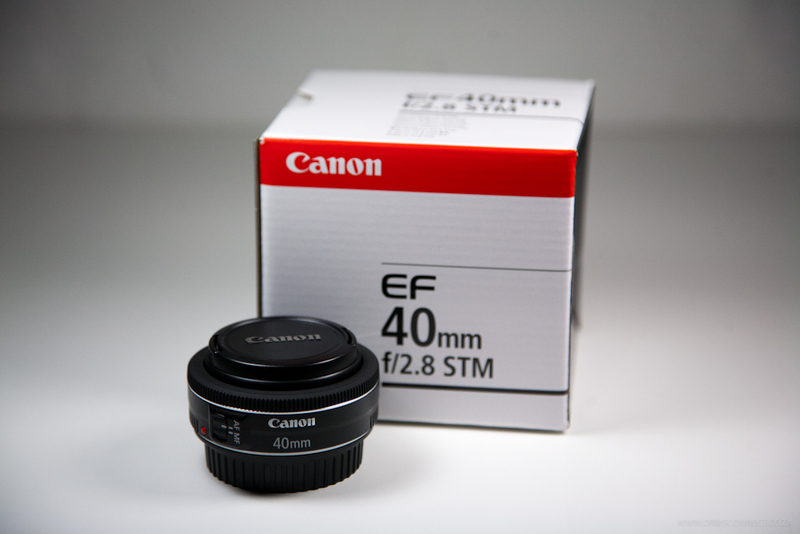 It fits my Canon EF 'Full-Frame' lenses to my m4/3 bodies and gives me AF and electronic aperture. It's almost as fast as my native lenses at focusing and it also gives me 1 stop extra light gathering plus reducing the 2x crop to just under 1.5x. It opens up all sorts of possibilities and with my Canon EF 24-105mm f/4 IS on my Panasonic GX8 it gives me the most stable hand held video footage I've ever created. It's expensive but cost effective for me, since I'm planning to sell a lot of lenses because I don't need them anymore. Superb piece of kit and just as useful for stills photographers as videographers. This is a category for what might be described as 'oddball' cameras, outside of the normal, 'we've seen it all before', DSLR and mirrorless orbit. 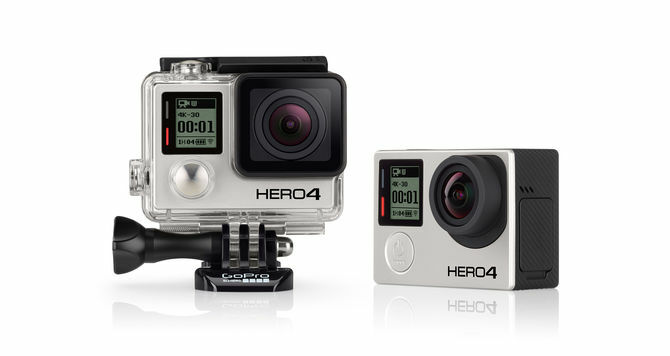 The GoPro is tiny and capable of some incredible 4K video footage. It's also great for very different looking still images as well, with it's fixed focal length, fixed focus and aperture fisheye lens. It's wonderfully different and as creative as you want to make it. But I had to give this category to the Olympus Air AO1. Maybe not for the market that Olympus designed it for, this externally controlled mini m4/3 camera has some great possibilities. It remains to be seen whether anyone will come up with apps. for it and it's a scandal that it's only available in the US and Japan, but it is something genuinely new and a piece of photographic gear that makes me think of new ways to create images. 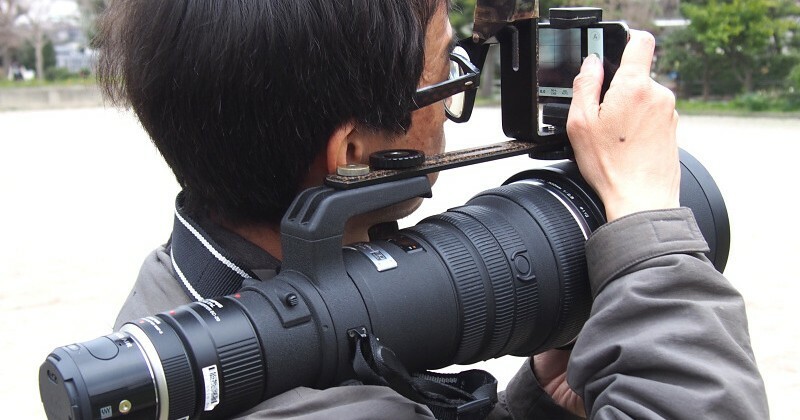 It's not much more than a large lens mount and as such it's a wonderfully portable solution for stills and video. For me it's best when fitted to a tripod and controlled wirelessly via an iPad, but it works just as well as an add-on for a smartphone (and better quality as well) I just hope enough people buy it to continue the line. This category is a bit contentious, since all apart from the Panasonic CM1 have been out a while, but these are the smartphone cameras that I used last year. The Nokia Lumia 1020 with it's huge pixel count and great colour, the Samsung K zoom, which is a Samsung compact zoom camera with a phone attached and the superb Panasonic CM1 with it's 1' sensor responsible for the best smartphone image quality out there and it's stylish looks are all devices that mean camera phones have now to be taken seriously. These are serious picture creating cameras capable of incredible quality and I doubt it will be too long before my camera of the year is a smartphone. But in a decision from my heart rather than my head I have to give this to the Blackberry Q10. This was the phone that changed my mind and convinced me that I could shoot pictures with one. And every time I'm out with it I think, why do I use anything else? It has spot on exposure, spot on colour and it's simple and a total joy to use. I sell LOTS of Q10 images, which does surprise me, but those little squares seem to capture what's right. It is in fact the worst camera I have for image quality, but it's still one of my favourite cameras ever. 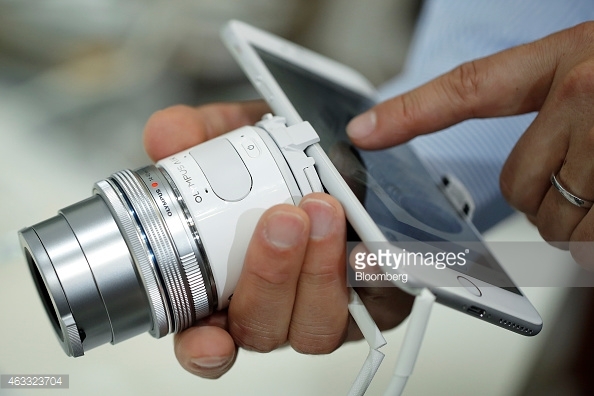 This is a totally personal choice and for me Blackberry is the Leica of the smartphone world. Expensive and classy and not used by many these days, Blackberries are something special for me. Schneider Kreuznach do their optics, so not too shabby then, but the Q10 is really all about simplicity and freedom. Plus I've had it two and a half years and it still looks brand new, which is testament to how well these things are put together. The Leica T lenses are wonderful. Optically and mechanically superb. They look and feel like the class acts they are. The Canon 40mm f/2.8 pancake is cheap, crazy sharp and will be regarded as a classic in years to come I'm sure, but I have to give this category to the Olympus 7-14mm f/2.8. Because this is what mirrorless and m4/3 in particular is all about. A pro-spec. fast super wide-angle zoom that doesn't need a crane to lift it and mean selling a kidney to afford it. For those of us brought up with 35mm film cameras, this would have been a fantasy lens and one I can honestly say I never expected to own. It's beautifully built, optically very impressive and a great creative tool. And I have to say that was the clearest winner of all these categories and the first I decided on. For me it stands head and shoulders over the others. It is one of the most impressive lenses I've ever owned and is my go to lens for the property interior shoots I do that earn me a significant part of my income. Superb. This was a hard choice, really hard and I deliberated a long time over this. I've already written about the Olympus Air AO1 and it's a really interesting product, which I hope is the start of a range of similar type camera / phone hybrids. 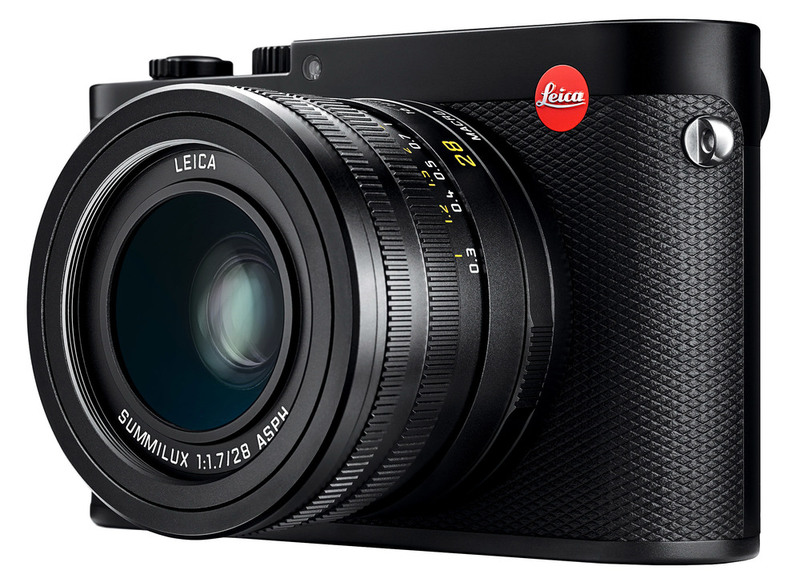 The Leica Q (Typ 116) is a 'red dot classic' and I was VERY tempted to give both lens and camera of the year to the Q. The Panasonic GX8 is the best mirrorless camera I have ever used. Amazing specs. amazing functionality and it looks great too. It has a huge lens range to go with it and I'm still a fan of the DSLR concept anyway. They aren't going away anytime soon and I really don't want them too, because even though they are big and heavy, I still feel like a serious, 'proper' and yes a 'professional' photographer when I have one in my hands. Big DSLR's are still the ultimate 'badge' and symbol of photographic authority that men of a certain age (of which I am one) who wish to assert their photographic credentials crave. People move out of the way when I use the 5Ds and couples come and ask me to take their picture, usually apologising for their camera choice. But I'm not going to apologise for liking that. We all know that using something like this doesn't make us better photographers, but picking it up it sure feels like it does, because camera brutes like this impress the hell out of non-photographers and lets be honest here, much as I like to pretend that things like that don't matter to me, if I am prepared to admit it, they probably do. So there it is for 2015. My (as ever) personal choices of my favourites that I have used in 2015. And I suspect for 2016 as well. Because at the moment it seems there is not that much that looks exciting on the horizon, at least in terms of non smartphone cameras. And I do believe that as time passes this is where the stuff that boggles our minds will come from. And I'm particularly interested to see if Samsung's exit from the conventional camera marketplace and their promise of a major announcement soon turns out to be the 'super smartphone' that everybody is assuming that will be. Because, like it or not, this is where all the R & D is going, because this is where the camera companies can keep selling gear, though some of them haven't realised it yet. And yes Nikon and Canon will continue to keep doing what they do and may yet surprise us all with their resilience and ability to defy predictions of their demise, and the mirrorless manufacturers will keep on innovating and amazing us. Because every year we get more options and better quality in terms of what we can use. It's always a great time to be a photographer, but these days it's a great time to be a camera (and lens) owner as well and I can't see that diminishing, in fact quite the reverse. And if we can't create great images with what's around these days then, as ever, we have nobody to blame but ourselves.